When it comes to paying it forward, few people would be able to boast like Charles Chang could – though you certainly won’t find him showing off. The entrepreneur is well-spoken and confident, but humble when it comes to his impressive resume, including being Ernst & Young’s Entrepreneur of the Year and making Profit’s 100 Fastest Growing Companies list, among many other accolades. 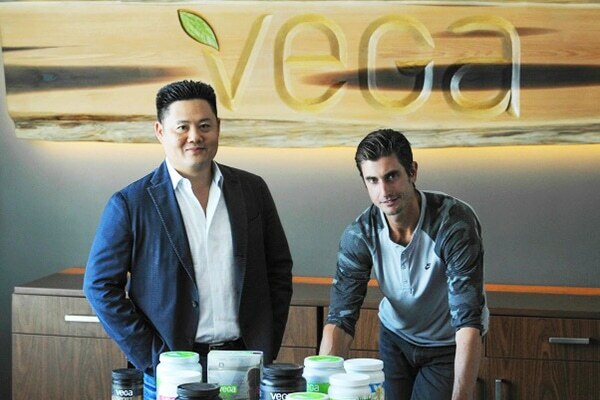 His modest demeanor is especially remarkable considering he raised the annual sales of his plant-based nutritional supplement brand, Vega, to $100 million USD, and then sold the business for $550 million USD in 2015. But Charles wasn’t satisfied to sit on the sidelines. Charles believes in giving back to the community. As he says, “Once I sold Vega, I had the means to do something really meaningful.” Within a year, he launched Lyra Growth Partners, a private investment fund that helps businesses reach their full potential. He didn’t stop there. Charles supports early entrepreneurialism, knowing that it can have a huge impact on BC’s economy and culture. The Founder of Vega and Lyra Growth Partners donated $10 million to Simon Fraser University (SFU) to establish The Charles Chang Institute for Entrepreneurship within the Beedie School of Business, and continues to be involved in the process to help the local community grow. Get insight into how Charles became a business leader, the best way to manage rapid growth, what his marketing secret is and how he stays motivated here. When did you know entrepreneurship was right for you? I was always that kind of guy. I had lots of little businesses where I would do comic books and sell them door to door, go mow people’s lawns or go catch fish in a pond [to sell to the aquarium]. My parents didn’t really know what to do with me. I wasn’t really great at school and I always learned best when doing things by myself for myself. That’s kind of what entrepreneurship is – someone who follows the beat of their own drum. How did you overcome Vega’s initial financial challenges? I think every start-up business has to go through a lot of sacrifices early on. For me, I had invested my entire life savings. I had about $100,000 saved up and invested all of it, ended up getting a second mortgage on my house and maxed out all my credit cards. At one point, I sold my truck, a very special limited edition off-road vehicle, for $27,000 to actually stay in business. I think that over time we got really good at managing our cash so we were able to be a quite financially secure throughout the rest of our growth phrase. You have to be really smart about cash flow and monitor your costs, make sure you collect your accounts receivables as quickly as possible, negotiate longer payment terms with vendors, have good marketing campaigns and run your business tightly. What was your marketing strategy behind Vega? We tried to think far beyond Vega as a product. We wanted to be a lifestyle brand. We wanted to be iconic. We wanted people to ask for us by name. We wanted to define our category, to be the Kleenex of our category. For Vega to become a verb. Rapid growth can be difficult to manage. How did you do it? Constant adaptation, constant evolution and constant iteration of processes. There’s so many things all around you when you’re growing really fast that keeps you on your toes. [And] a balance has to be struck with your ability to finance it. There were times where we could have grown faster than we did, but then we would put ourselves in a financially tighter situation from a cash flow perspective. So we had to dial back. And there were times where we had lots of cash and we pushed for harder and harder growth. I think we’ve definitely made mistakes. But that’s what fun about rapid growth companies. Why did you choose to sell Vega? To liken it to having children, I looked at it as if my Vega baby grew up. I started from my basement from scratch and it grew up to become an amazing brand that has its own life that really didn’t need me anymore, especially when we got to around $100 million in sales. Vega’s more suited for a larger company managerial style that isn’t my best skillset match. I’m more entrepreneurial early stage. So [the sale] just allowed me to do what I’m best at and it gives Vega a chance to grow with people who have done it before. It’s really a good balance for everyone. What made you start Lyra Growth Partners? The whole purpose behind Lyra Growth Partners is to use my experience, my contacts, my resources and my financial backing to help other young companies succeed. If I can repeat [Vega’s growth] with other young companies, I can do the most good, as opposed to continuing to run one business that doesn’t need me anymore – that’s really already beyond most of where my skillsets are in terms of being a start-up entrepreneur. My dad left when I was 17 to move back to Taiwan. He left me one piece of paper with two words on it – “Know thyself.” Socrates wrote that. I believe in self-awareness. From a perspective of [knowing] what you want in life, what you’re good at, what you’re not good at, what you need to improve on and how you look at things. That’s the foundation for what I would call success, which is being happy. In order to do that, you really have to know yourself, be honest with yourself, do things in the way you know they need to be done, to not follow others and listen to your own heart. Do you have an Influencer you’d like to hear from? Let us know here.